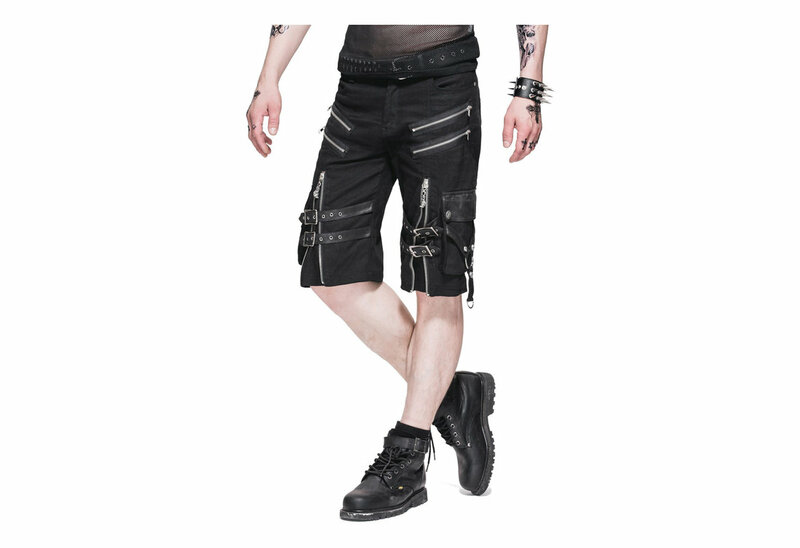 Zipper shorts with front, back and side pockets, zipper details with buckle straps across the front. 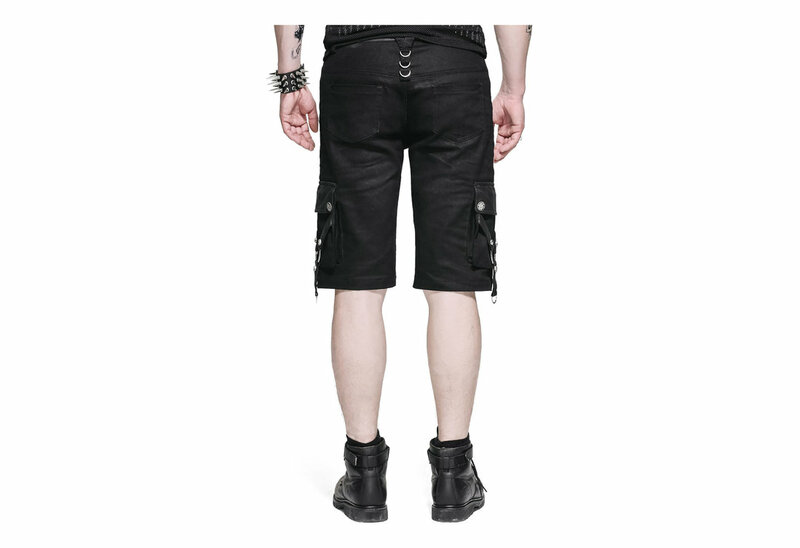 What material are these shorts made out of and do they run pretty true to the sizing chart? Thanks! Currently my only amazing pair of shorts that I own. Perfect for summer. The quality is definitely worth bragging about. Only gripe are the pockets being too small. I've worn tripps for years so the quality of this is much higher than I'm used to with recent tripp products. Only complaint is pockets are so small. 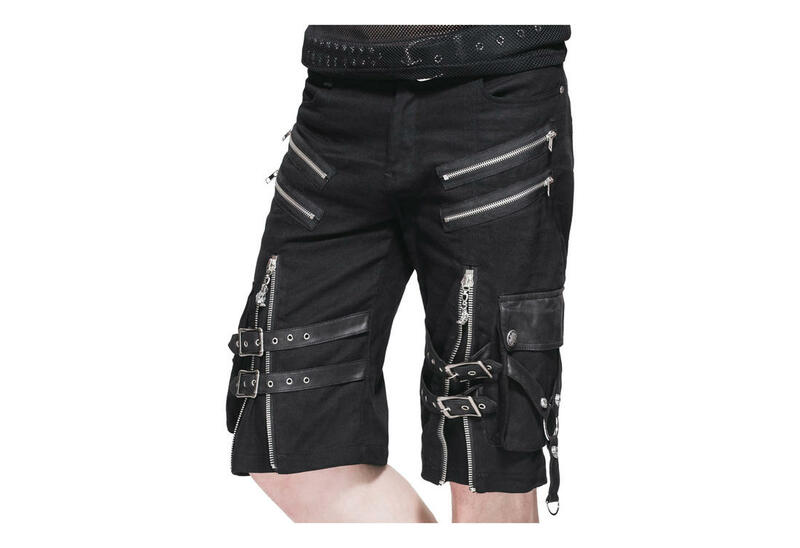 These shorts are awesome. I get a lot of people asking about them. I wish Rivithead carried more like these. Awesome. Love these sorts. 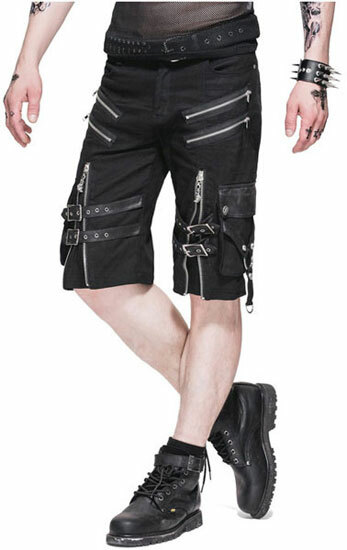 Perfect amount of action going on and finally something goth I can wear in the summer.